Hier ist das erste vorläufige Preview-Cover von "The Complete Pertwillaby Papers". Und nicht vergessen: Noch bis nächsten Mittwoch könnt ihr die Don Rosa Classics bei unserer Indiegogo-Kampagne vorbestellen! 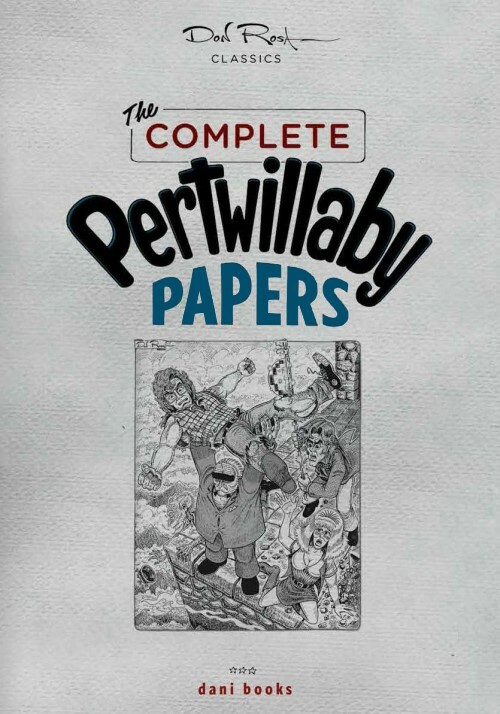 Here's the first preliminary preview cover of "The Complete Pertwillaby Papers". And don't forget: You can still preorder your own copies of the Don Rosa Classics till next Wednesday on our Indiegogo campaign page! Here is the plan for Don's 2012 German signing tour. Maybe some of you would like to come? Schon nach weniger als der Hälfte der angesetzten Zeit hat das Don-Rosa-Classics-Projekt sein ursprüngliches Kampagnenziel von 10.000 Dollar erreicht! Danke an alle, die bereits vorbestellt haben! Sagt die Aktion aber bitte trotzdem weiterhin an Freunde und Bekannte weiter, denn Vorbestellungen sind noch bis zum 1. August möglich und wenn wir auf 15.000 oder 16.000 Dollar kommen, können die Bücher vielleicht sogar in einem größeren Format als A4 produziert werden! After less than half of the originally set timeframe, the Don Rosa Classics project has reached its campaign goal of $10,000! Thanks to each and everyone of you who already preordered their books! But don't stop spreading the word, preorders are possible till the end of the Indiegogo campaign on August 1. If we can reach about $15,000 or $16,000, we might even be able to produce the books at a larger size than the originally planned A4 format!